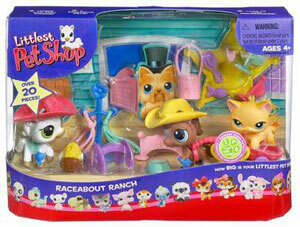 Description Of Item: Help all of your pets rope in a fun-filled adventure down at the ranch! With more than 20 pieces, there are plenty of wagon-ridin?, cowboy-hat-wearin? accessories for a rootin?-tootin? good time!